3-D printing isn't just some living room hobby people do to make decorative trinkets. In addition to the possibility of changing lives with prosthetics, the technology is also proving useful in areas of engineering. And as you can see in the video above, NASA has taken a keen interest in 3-D printing for the purpose of building rocket engines. 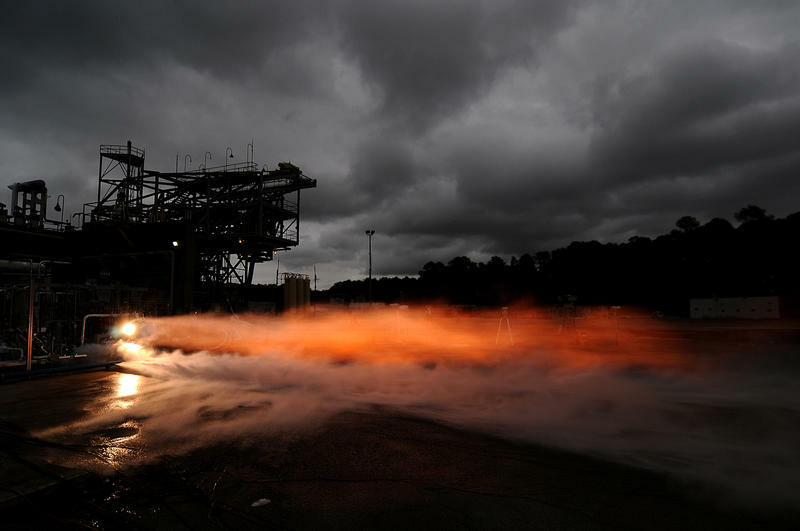 "We manufactured and then tested about 75 percent of the parts needed to build a 3-D printed rocket engine," said Elizabeth Robertson, project manager for the "additively manufactured" demonstrator engine. "Additively manufactured" is just a fancy way of describing 3-D printing. The successful test is a big deal because it not only proves that 3-D printing is a viable technology in aerospace, but it allows NASA to explore more advanced space vehicle designs at a fraction of the cost. As a whole, it makes exploration missions more affordable. The engine in the video you see above successfully performed seven tests and produced 20,000 pounds of thrust, which NASA says is enough for a Mars lander. NASA says it will conduct future tests with oxygen and methane, two key propellants for Martian landers because scientists believe they can both be produced on the Red Planet. To make each part, a design is entered into a 3-D printer's computer. The printer then builds each part by layering metal powder and fusing it together with a laser – a process known as selective laser melting. The 3-D printed turbopump, one of the more complex parts of the engine, had 45 percent fewer parts than similar pumps made with traditional welding and assembly techniques. The injector had over 200 fewer parts than traditionally manufactured injectors, and it incorporated features that have never been used before because they are only possible with additive manufacturing. Complex parts like valves that normally would take more than a year to manufacture were built by in a few months. Check out the video above, as well as the video at this link, which gives an overview of the 3-D engine NASA tested.